Winter months are a difficult period for your skin. Cold weather and indoor heating can harm the protective layers and make the skin more susceptible to damage, while at the same time slow down its repairing mechanisms. Fortunately, there are many ways in which you can improve this situation. In this article, we will try to list only the most effective ones. Cold air tends to be very dry and most of the heating systems in our apartments also significantly reduce humidity. This is why the moisturizer we usually use will not be enough to satisfy the needs of our skin during winter. The best bet is to use oil-based moisturizers. The protective layer that this type of product creates serves to keep the moisture inside of our skin, rather than let it evaporate as soon as we are finished with the treatment. The only drawback of oils is that some of them cover our skin too well, keeping the bad stuff in together with the good stuff. For the best effects, use primrose, almond or mineral oil, or try the oil of avocado. Your skin is sensitive to temperature drops, but the biggest problem is that one most sensitive parts of your skin is most exposed to cold air. You guessed it, it’s your hands. Wearing gloves at all times when you are outside is a must unless you prefer your hands dry, itchy and cracking. Gloves are useful even if you are inside. Make a habit of wearing them for at least an hour while you are at home, to help your skin retain moisture and recover. Just make sure they are made of cotton because gloves made of rougher materials can be counterproductive. Many people think that their quest for proper hydration is over when the summer ends. This is not true - Your body needs a lot of water during the whole year, and the dry atmosphere of winter practically demands that you increase your water intake. Once again, the summer is over, but the sun is still out there, you know. It might not warm you as much as it does during July, but it sure does radiate a lot. If you live in areas where there’s snow, the situation is even worse, because snow reflects a significant amount of radiation. Solving this problem is as easy as opening your summer trip suitcase and taking out your favorite sunscreen. Make sure you apply it some time before you exit outside (half an hour will be enough) and you will be ready to enjoy the winter, stress-free. Glycerine or petroleum jelly based products are just what you need to keep the skin on your feet safe from drying. Make sure you removed dead skin with the exfoliant of your choice before you start with the moisturizing treatment, though. This will help the moisturizer reach areas which need it most. Bathing in hot water might sound like a good idea, especially after spending a freezing day out. However, no matter how absurd it sounds, prolonged exposure to hot water will actually severely de-moisturize your skin. If you think that hot showers are much better, think again. Showers will have the same effect, so keep them short. 10 minutes will be more than enough to remove the dirt and you can always find some other way to enjoy yourself. During the cold months, our body needs to keep itself warm somehow, which is why it diverts the blood flow from the outer areas to the inner areas which need warmth more. This is why our skin suffers from drying. 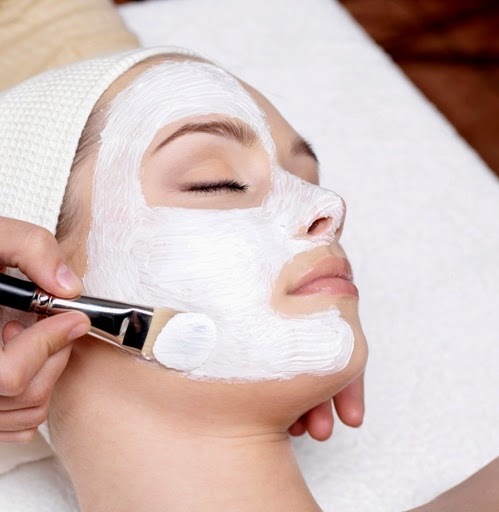 To remove the dry layers, you can use a mixture of honey and sugar which will increase the blood flow in your skin. Milk is also a very powerful moisturizer and can be a great exfoliant, so if you are currently lacking dermalogicaproducts, you should know there are plenty of natural solutions to keep your skin in great condition. We can only give you general tips on how to take care of your skin during winter, but just like every person is different, so is every person’s skin. If you want to know what’s best for you, the best idea is to visit a dermatologist and get recommendations which best suit your skin type.